For many of us, November has been exhausting. The contentiousness of the U.S. presidential election has kept many who work with children and youth on edge. Our children are like sponges and soak up the good and the bad of our collective behavior. Unfortunately, many have picked up on the not-so good. Kindness is powerful. Author and education expert Dr. Michelle Borba noted in her opening keynote that empathy is “we” not “me.” Instilling a we attitude in our children is vital. This can be done in and out of school through experiential activities. Sunday, Nov. 13, gave us all an opportunity to turn me into we as the nation observed World Kindness Day, a 24-hour global campaign dedicated to paying it forward and focusing on the good. Empowered Flower Girl encourages you to engage – and engage youth – in activities that make a difference year round! DETAILS: Founded in 2006 by PACER’s National Bullying Prevention Center, the campaign is observed during the month of October and unites communities nationwide to educate and raise awareness of bullying prevention. DETAILS: Me, Myself & I Teens will host hands-on workshops, discussions and an afternoon of empowerment for girls 12-19. Attendees will receive a workbook and certificate of completion (Beautiful Degree of Me). Empowered Flower Girl will facilitate the Social Secrets: What Teens Should Know workshop. Register for FREE at mmiteens.com/bmu2018. For Empowered Flower Girl, 2013 has been an eventful and inspiring year. Over the past 11 months, EFG has had the honor of facilitating workshops and programs throughout southeastern Michigan and Lansing. Approximately 225 girls and women participated in our Chica Chat and Mentoring Girls & Inspiring Sisterhood workshops. Thanks to Detroit SOUP, we were able to offer Chica Chats to a diverse group of girls and young women, including teenagers struggling with challenging behaviors and addictions. Over the summer, we partnered with Detroit Parent Network to host the first Community Chica Chat. We also celebrated our three-year anniversary with friends, family and supporters, including Detroit City Council President Saunteel Jenkins. I’d like to thank everyone who attended an event, recommended us to a friend, “liked” us on social media or sent positive energy. Your support helps us help girls and young women live POWERfully. Hazel Park Middle School of Hazel Park, Mich.
Reach Academy of Roseville, Mich. It is estimated that more than half of all American teenagers witness bullying at least once a day in school. An estimated 1.6 million kids in grades 6-12 are bullied once a week. Chances are you know a young person who has been a victim of bullying. 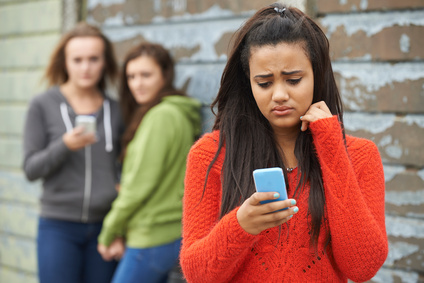 Chances are you know a young person who’s witnessed bullying. Chances are you know a young person who has been a perpetrator of bullying. This October, as the nation observes National Bullying Prevention Month, Empowered Flower Girl asks that you take time to talk with the young people in your lives. More importantly, take time to listen. Bullies and their victims have something in common – they both are dealing with some sort of pain. They both need someone to listen to their challenges, struggles, aspirations and hopes. Listening can empower victims and transform perpetrators. The question is: How will you be the change in a young person’s life? Join Empowered Flower Girl in being an advocate for youth. Follow us on Facebook and Twitter for events, resources and tips for empowering youth, schools and communities. For more information about our workshops and programs, visitwww.empoweredflowergirl.com or call 248-629-0334.